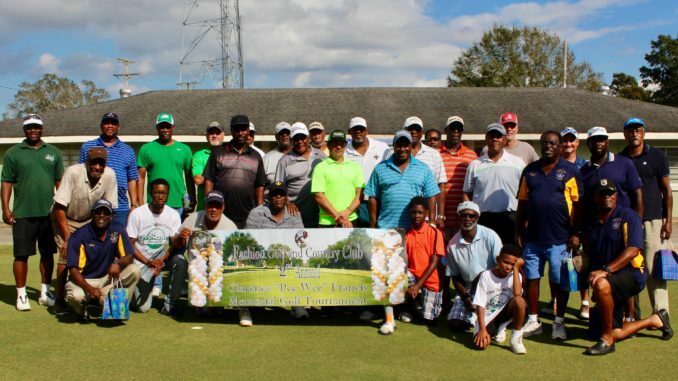 The 2nd Annual Clarence “Pee Wee” Francis Jr., Memorial Golf Tournament was held Nov. 4 at Fashion Golf and Country Club in Hahnville. The 4-Man Scramble Shotgun start began at 9 a.m. Stacy Francis and friends of the late Clarence “Pee Wee” Francis Jr. created the golf tournament. Proceeds from the tournament will provide a scholarship to a 2018 Hahnville High School senior or seniors and sponsor a summer golf camp in 2018 at Fashion Golf and Country Club.